visit Taylor Creative at The Wedding Salon! This week we're excited to bring you some brand new photos featuring the work of one of our favorite designers, Frank Alexander. 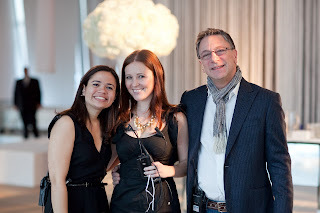 We've worked with Frank (and his right-hand ladies Laura and Erin) many times over the years and they consistently create elegant, eye-catching designs for all types of events. From weddings and bar mitzvahs to product launches and press events, they set the scene with our picture-perfect rental pieces. Laura sent us some gorgeous shots from two of their recent events (courtesy of fab photog Allan Zepeda). We love what they've done so check out their amazing work and see our products in action! 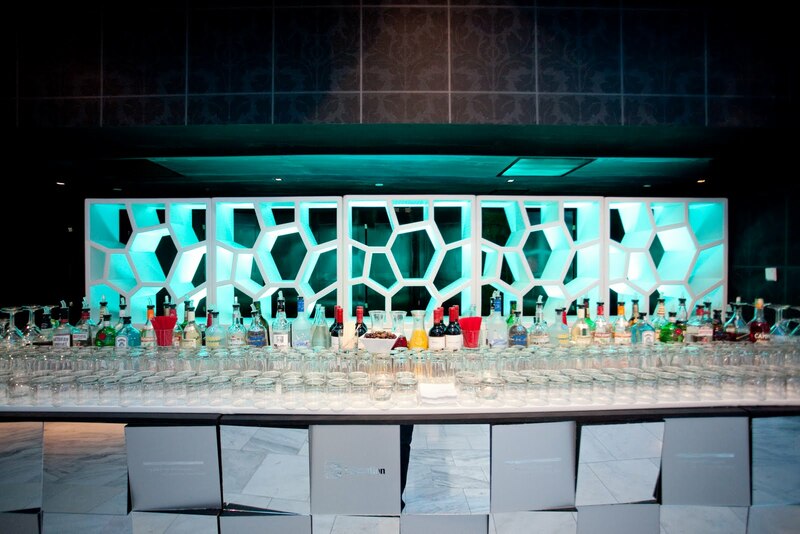 For a recent board of directors dinner, Frank and his team designed a dramatic backdrop behind the main bar. By stacking our Opus Screens and uplighting them in aqua, they created a display designed to capture the guests' attention. 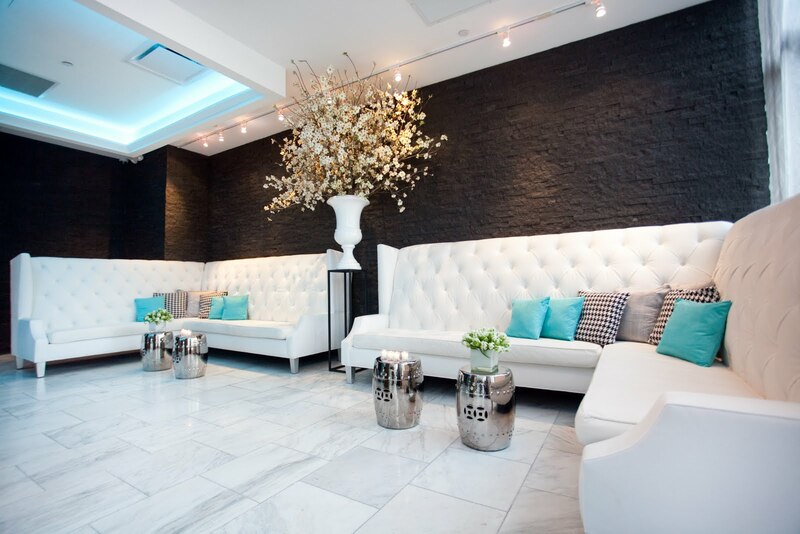 Frank used our over-sized Windsor Banquettes to make the gallery space feel more intimate. 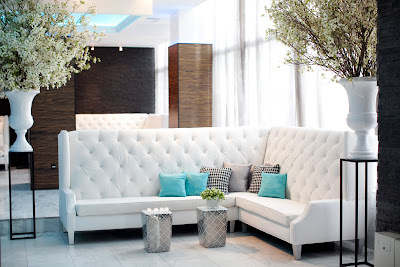 These plush pieces were the perfect complement to the venue's marble floors while the aqua and houndstooth accents popped against the bright white tufting. 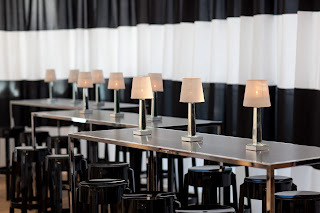 Frank played up a black and white theme at a recent launch party at the IAC Building in Manhattan. 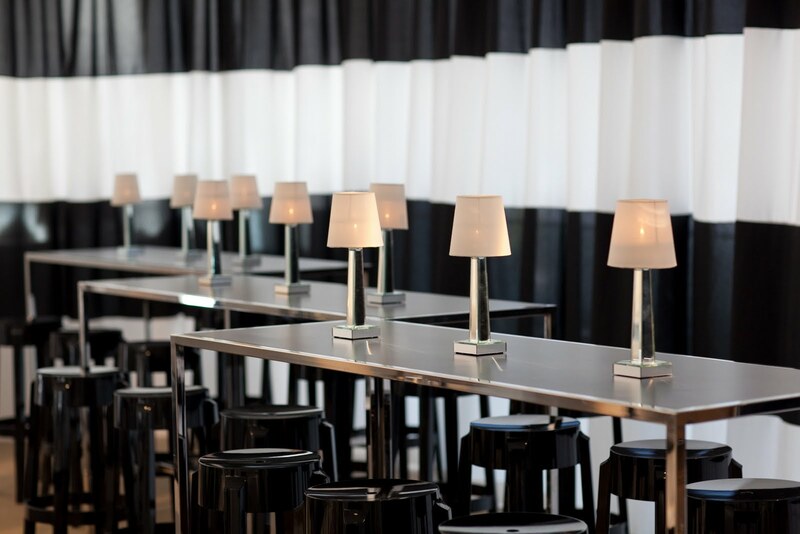 Our sleek Black Runner Tables and Charles Ghost Stools offered guests a spot to perch and enjoy a bite throughout the event. 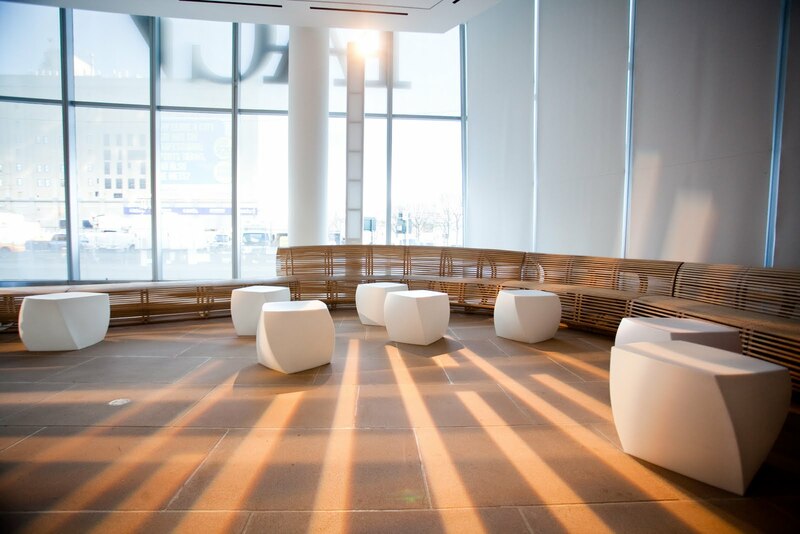 The space, known for its interesting angles and lighting, is the brainchild of renowned architect Frank Gehry. He also designed the white Gehry cubes featured in our rental collection. They sure do make it look easy!